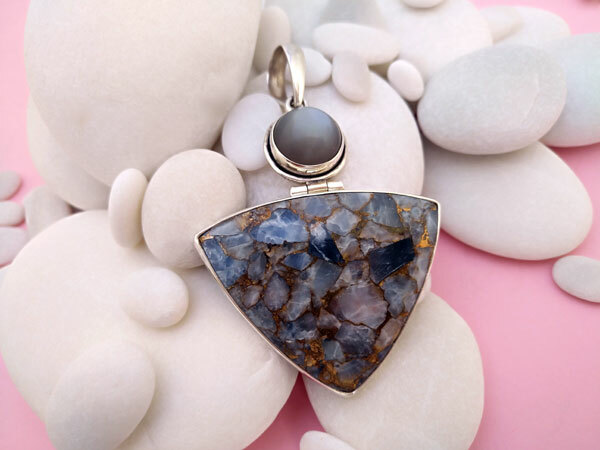 Sterling silver pendant with copper Calcite and Sapphire "cat's eye". Sterling silver pendant with copper Calcite and Sapphire "cat's eye", both gems coming from Sry Lanka (Ceylon). 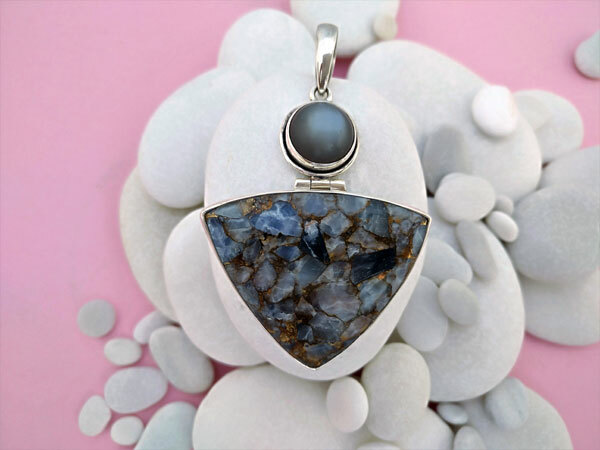 The pendant measures 2.8" high and 2" wide. The sapphire measures 0.6". diameter.